Logan joined the Cooper Mediation team in November, 2017 and now devotes 100% of her professional time to mediation. She has trained extensively with the Stitt Feld Handy Group and has attended numerous industry sponsored educational programs with Ontario Trial Lawyers Association (OTLA), Canadian Defence Lawyers (CDL) and Ontario Bar Association (OBA) to name a few. As a member of the International Academy of Mediators Mentee Program, Logan is gathering wisdom from mediators all over the world. 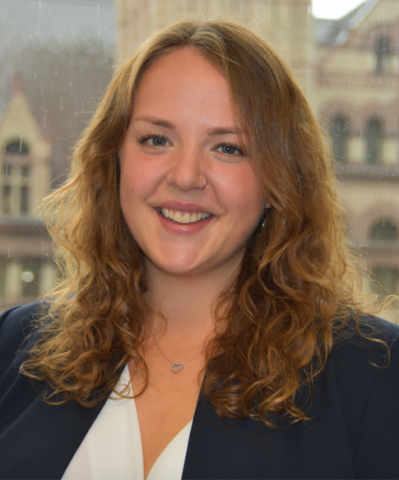 She has interned with a number of highly experienced and well regarded mediators in Toronto and is now offering her services as a mediator at roster rates. She mediates primarily, but not exclusively, in the area of personal injury and insurance. In her personal time, she loves to explore the Toronto music scene as a listener and performer or get her hands dirty working on garden design projects and ceramic art.